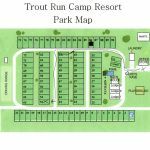 Ask fellow campers about "Trout Run Camp Resort" and nearby attractions. Clean park. Good pool, large sites. Friendly helpful staff. Will be back when traveling from Florida! 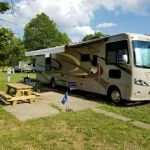 We camped at Trout Run Camp Resort in a Fifth Wheel. We enjoyed the campground. We were there at the end of the season and basically had the park to ourselves. We had a broken spring hanger on our trailer, and the owner went beyond the call of duty to get it fixed. He provided tools, helped us get it fixed, and brought in a local welder. We had a back-in site with power. Sewer connection was too far back to be useful. The campground needs some work, but the owner is making improvements. We will return if we are in the area. We camped at Trout Run Camp Resort in a Fifth Wheel. Check out the Corning glass museum. Sites are large with lots of open space partly because most were empty. I can't call this park a "resort." Nobody was in office when we came. Seasonal residents said they hadn't seen owner in 2 weeks. Maintenance person had to try to find out where our site was. Then he had to cut down some limbs so we could get trailer in and out. It was supposed to be a pull through but placement of utilities was very strange. Were lots of concrete slabs that looked like they had been unused for some time. We didn't have a slab. Entire park looked seedy to me. We won't go back. No wifi or cable. Lots of speed bumps throughout which were hard to see, so lots of bumping of trailer. We camped at Trout Run Camp Resort in a Fifth Wheel. This was our favorite of the 4 NY parks we stayed in. They have a beautiful new salt water pool, and the sites are spacious and level. The owners are very nice and helpful. There are several seasonal sites, but lots of open space for everyone. Overall it's a great park and will keep getting better as the owners add amenities. We camped at Trout Run Camp Resort in a Fifth Wheel. 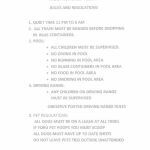 Are you affiliated with Trout Run Camp Resort ?